Usually the first thing a new fly fisherman does is to look for a new fly rod. The problem is that there is so much information out there and so many different types and sizes of rods that a beginner can get confused and frustrated very quickly. Here I’ll attempt to give you the basic knowledge of these terms and what to look for in purchasing the best fly fishing rod. Please do not jump into your first purchase too quickly. Be informed. Once you have read through this page you will be equipped with the knowledge you’ll need to make an informed decision on the purchase of your fly rod. By the way, even experienced anglers will find this page quite useful as well. At the bottom of this page I list a couple of tools to help assist you in making your decision as to which fly rod is right for you. 3 What type of fishing will you be doing? 4 What type of action should I look for? Casting – the fly rod allows for the fly line to be cast with power and accuracy. A good fly rod, in combination with good fly casting skills, also allows the fly and fly line to be placed on the water in such a way so as to not spook the fish. Line Control – Once you have your fly out on the water and it is happily floating away, the next function of a fly rod is to provide for line control. A fly rod allows you to have control over the line that is out on the water. Striking and Landing Fish – a fly rod is used to both set the hook on a fish and to fight and land the fish. The fly rod needs to be flexible and strong enough to bend, sometimes under great pressure, without breaking or snapping. First let’s talk about the different materials that fly rods are made of today. The three most popular materials are bamboo, fiberglass and graphite, with the graphite rod being the most popular. There are many differing opinions on which is best but the key is to select the one that you feel most comfortable with and can afford. Without a doubt, graphite fly rods are the most popular fly rod today. That’s why I decided to start with them. These rods are the “new kids on the block”. All graphite rods are not equal. For that matter, not all graphite is equal. Graphite is a man-made material and new processes are constantly being introduced but to keep things simple, the biggest difference in these rods is the weight. Generally speaking, the lighter the rod, the more expensive it is (in most cases). The old adage “You get what you pay for” usually applies here. You want to be careful in selecting your rod that you don’t get the least expensive one you find (even for the beginner) because in many cases, this will lead to purchasing another rod in a few short years because of the poor quality of the first rod. When looking at a fly rod, make sure to check the reel seat, guides, grip, etc. to ensure they are all tight and made of a good, quality material so they aren’t breaking down on you shortly after your purchase. On the flip side, I strongly believe that you don’t want to right out and purchase a top of the line rod right out of the gate either until you have had a chance to get some experience under your belt. Then you can go back and look for the rod of your dreams that will last you a lifetime. In terms of price, graphite rods are usually the middle of the road. They’re always less than an equivalent bamboo rod and generally more expensive than an equivalent fiberglass rod. Graphite fly rods are also more forgiving to beginners and allow for both longer and more accurate casts. Additionally, you’ll be thankful for the lighter weight after your first all day adventure on the stream. These features are probably what make the graphite rods so popular. According to the history books, the first fly rods were made out of bamboo. Believe it or not, these fly rods are still used today by some of the more advanced fly fishermen. Being that these rods are not the obvious choice for beginners, I won’t spend much time on them but let it be known that if you ever run into someone that is fishing with a bamboo rod, there’s a good chance that this person is the benefactor of some rich fly fishing tradition and may have been taught by his/her father or grandfather on a bamboo rod. Today’s bamboo rods are easy to care for. All that’s required is that they are wiped down after each use and polished with a paste style furniture polish before putting away. To store the rod, separate the pieces and keep them in the rod sack inside a protective rod tube and keep it in a climate controlled room (not an attic or a damp basement). Lay the rod tube horizontally to avoid warping. Bamboo fly rods are inherently slow action. They are also quite a bit heavier in comparison to today’s lightweight graphite and fiberglass fly rods and despite the high price (I’ve seen these for upwards of $1500), bamboo fly rods are still considered the finest fly rods on the market. Fiberglass rods seem to be going the way of the dinosaur. With the introduction of the graphite rod, most people have traded in the heavier fiberglass rods for the lighter and more forgiving graphite rods. Still, fiberglass rods have their benefits, of which the greatest is price. These rods are the least expensive, making them quite appealing to younger fishermen and beginners. Also, fiberglass fly rods seem virtually indestructible. You may crush one in a car door or inadvertently step on one and break it but it is quite unlikely that a fish will ever break one. What type of fishing will you be doing? I only fish for trout so my focus here will be limited to trout but even if you’re going for something other than trout, this is still an important consideration. If you’re going to be fly fishing in the ocean or a lake, you won’t want to buy a rod designed for trout as the performance of that rod will be horrible. Even if your focus is only trout, like mine, you’ll still need to consider what type of trout you’re after. If you’re fishing for native trout in a small mountain stream, that will be quite a bit different than fishing for Steelhead on one of the tributaries off Lake Erie. Keep this in mind as we continue to step through the selection process. What type of action should I look for? Some fly fishermen will go into a long, drawn out explanation and science of what “fly rod action” is. All “action” means is how flexible the rod is. The flex of a fly rod is measured on the back cast. The more the fly rod bends at the end of the backcast the more flexible the fly rod is. The flexibility in a fly rod (or lack thereof) each have their benefits/drawbacks, all depending on what you will be fishing for and where you will be fishing. There are three main “actions” of a fly rod. Fly rods are generally labeled as being “fast action”, “medium or moderate action” or “slow action”. Let’s discuss what each of these actions mean to you. Sometimes referred to as a “full flex” rod. A slow action fly rod is a very flexible rod. On the back cast, this rod will be heavily bent. A slow action fly rod is designed to be used for short casts, when using light tippets or when fishing for small fish such as in a small mountain stream. Catching any fish on a slow action fly rod is a blast. It makes fighting a small, 8” trout feel like your fighting a 5 lb Steelhead. Sometimes referred to as a mid-flex fly rod. This is the most popular type of fly rod because they can be used in so many different situations. They provide the widest range of performance over a large range of conditions. The medium action fly rod still provides a decent measure of tippet protection when using light tackle while at the same time providing an angler with additional strength in the rod for fighting fish, casting in windy conditions, making longer casts and allowing for excellent precision in casts. Because of these benefits, if an angler can only own one fly rod and they will be fishing in a wide variety of conditions (lots of medium to large rivers, some spring creeks, lakes) then a medium action fly rod is most likely the fly rod of choice. Sometimes referred to as a tip flex fly rod. With this rod, at the end of the back cast, the tip of the fly rod will be slightly bent but the rest of the rod will be virtually straight as an arrow. This type of fly rod is best when an angler needs to make lengthy casts or will be fly fishing extensively in windy conditions. Casting is also somewhat easier with this rod due to the sheer power of the rod. This type of fly rod is ideal when you will be primarily fishing oceans or lakes. This type of rod is generally not used for trout fishing. Choosing a fly rod length is a relatively easy decision and quite dependent on where you will be fishing. If you will be fishing a small mountain stream or spring creek with a lot of cover, then a smaller rod will be necessary. On the flip side, if you’ll be fishing medium to large streams and rivers, then a longer fly rod will be in order because it will allow for longer casts and greatly improved line mending. For trout fishing on medium sized rivers or larger, a 9’ or longer rod is generally used. For the largest rivers, a 10’ rod is generally used. On very small rivers or spring creeks, small fly rods in the 7’ to 7.5’ range are generally the most effective and most used. I’ll talk about fly line weight here because this is also a consideration when purchasing a rod. I’ll also outline the exact same paragraph in the “Lines and Leaders” section as well. Fly rod manufacturers make each fly rod to cast a particular size line, from 1-weight for ultra-delicate fishing to 13 or 14-weight for big-game fishing. Just above the rod’s cork handle, or “grip,” you should find the rod’s recommended line weight, length, and actual weight in ounces. Fly Line Weight 1-3: Small trout and any other small fish. Small flies and short casts. Use for areas containing spooky trout and fly sizes generally #16 and smaller. Fly Line Weight 4: Small to medium sized trout and other similarly sized fish. Small flies and medium sized flies. Short to medium-short casts of no more than 40’. Can be used with 2 – 6 lb tippets. Fly Line Weight 5-6: The most versatile of the line weights. Fishes well for all but the smallest and all but the largest trout. Fishes well when using small, medium and larger sized flies (except the larger streamers). Allows for longer casts yet performs short casts well. 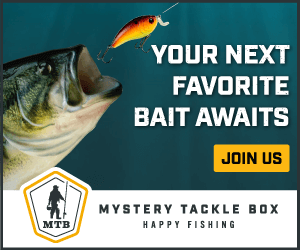 Great for tippets of 3 – 10 lb. Can easily cast large, weighted nymphs to around 50 feet and smaller, unweighted flies to 70-80 feet. Fly Line Weight 7-9: Designed for very large trout, Salmon and Steelhead and other similarly sized fish. Used for pitching large streamers and large flies. Longer casts are excellent. Not the best for short casts. Useful in windy conditions. Great for tippets of 6 to maybe 10 or 11 lb test. Ok, now that you’ve determined what you’re fishing for and know what line weight you’ll need, the next step is matching the fly line up to the fly rod. Fortunately fly rods use the same numbering systems as fly lines do. For example, if you will be using a fly line weight of 5 to fish for medium-sized trout, then you want to get a fly rod that has a weight of 5 as well. See how easy that is? Remember, the fly rod weight should match the fly line weight precisely for the best results. Remember: Fly Rod Weight = Fly Line Weight = Fly Reel Weight . I know most fly fishermen will tell you that you need multiple rods for all the different scenarios. Well, I’m going to go out on a limb here and tell you how I started. After doing all my research and knowing that I would be fishing both small and large streams but not having a large sum of money to start with, I ended up buying a Cabela’s Prestige® Fly Rod & Reel Combo that included a 9’, 6 weight, 4 piece, medium action graphite rod with case, reel, backing, fly line, leader and a fly box with 14 flies. It was a pretty good deal for under $200 and remains my primary rod for small, medium and even larger Steelhead trout (biggest was about 8 lbs). It wasn’t until 2004 that I broke down and also bought a smaller 7’, 4 weight, slow action/full flex rod for the smaller streams that I’ve grown to love. This type of fly rod will help you maneuver the small streams that have a lot of brush and will allow for delicate and precise casts. Good luck and get out there and make it happen.